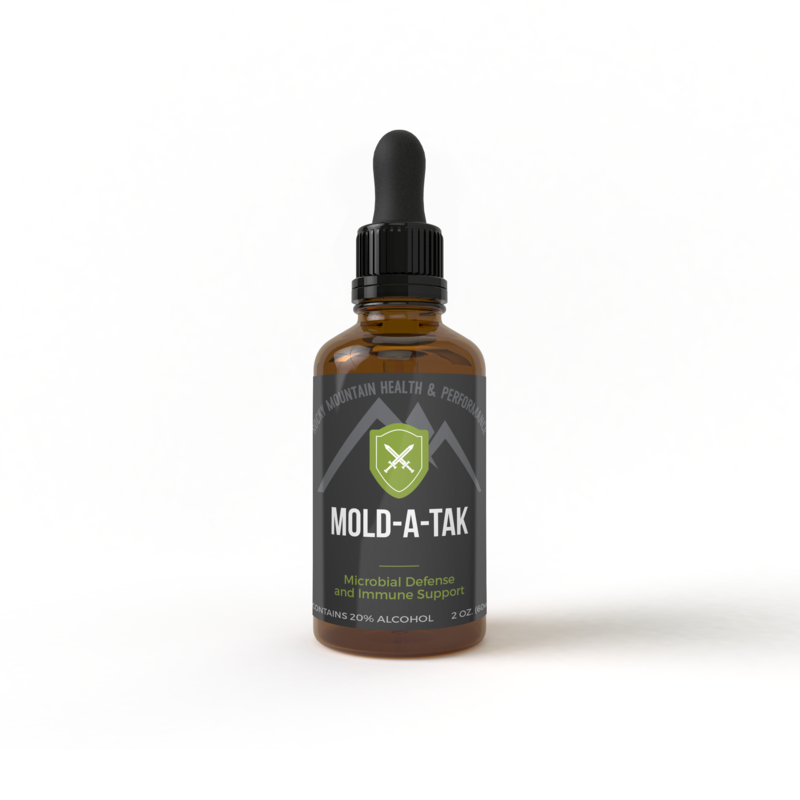 MoldATak™ is a full spectrum anti-mold agent that helps to rid the body of mold toxicity and protect against mold exposure. Symptoms of mold toxicity can include gas, bloating, irritable bowel syndrome, diarrhea, or constipation, fatigue, insomnia, chronic sinus congestion, dyspnea, headaches, endocrine dysfunction (thyroid, pituitary, and hypothalamus). MoldATak™ is a full spectrum anti-mold agent that helps to rid the body of mold toxicity and protect against mold exposure. Symptoms of mold toxicity can include gas, bloating, irritable bowel syndrome, diarrhea, or constipation, fatigue, insomnia, chronic sinus congestion, dyspnea, headaches, endocrine dysfunction (thyroid, pituitary, and hypothalamus). Similar to all Armor Line products, MoldAtak™ is to be used in conjunction with Armor Detox™ or other liver or kidney support while adhering to a strict Anti-Mold diet plan. MoldAtak™ is safe and effective for all ages. Recommended dosage: 1mL 3 times per day. Preventative dosage: 1mL per day.